There’s no such thing as a perfectly bulletproof judicial opinion. But the 277-page decision blocking the Trump administration from asking about citizenship on the 2020 census comes close. The opinion, issued Tuesday by Judge Jesse Furman of the U.S. District Court for the Southern District of New York, is a masterpiece of factual and legal analysis, both detailed and duplicative, that is designed to withstand an expedited appeal to the U.S. Court of Appeals for the 2nd Circuit and potential blocking or review by the Supreme Court. 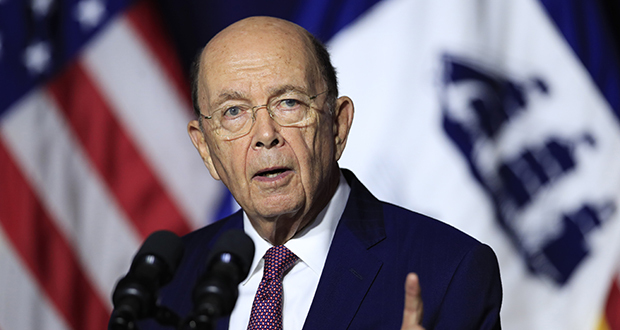 Its bottom line is clear: Secretary of Commerce Wilbur Ross broke the legal rules when he ordered the citizenship question to be added to the census. Whatever his real motive was, it wasn’t to find out how many noncitizens live in the U.S.
After Harvard College, Oxford and Yale Law School, Furman clerked for not one, not two, but three federal judges: one each at the district, appellate and Supreme Court level. He had a brief stint in private practice, then joined the U.S. attorney’s office for the Southern District of New York, where he worked until he became a judge. (In the middle, he spent two years on loan to the Justice Department advising George W. Bush’s attorney general, Michael Mukasey, whom he had previously served as a law clerk.) It’s as distinguished and nonpartisan a career as anyone in Furman’s judicial generation, and it marks him for future promotion to the 2nd Circuit and maybe beyond. Furman’s background gives him an intimate understanding of every stage of the judicial process that the census case is engaged in. While the case was before him, the Department of Justice sought review of numerous issues before the 2nd Circuit and Supreme Court. Furman’s decision will now go back to those places. The entire legal world will be closely watching its progress. Knowing all this, Furman set out to give his opinion every advantage it will need to survive the attack that President Donald Trump’s Justice Department is going to make on it. He knows exactly what kind of defensive armature such a decision needs. Think of the opinion as an up-armored Humvee the U.S. military used in Iraq. It weighs a lot more than its unarmored equivalent, which certainly slows it down. But it needs the extra weight to survive the explosive devices that await it on the road through Fallujah. A big part of the opinion consists of fact-finding, resulting from an eight-day trial that Furman heard without a jury. Facts are the district judge’s best friend, because they are the hardest things for appellate courts to reverse. Ordinarily, the trial judge’s fact-finding must be accepted by reviewing courts. Furman mostly relied on what’s called the “administrative record” — in essence, the official documents produced by the government actors. The plaintiffs in the case wanted to take testimony from Ross, but the Supreme Court blocked that option. Furman’s most important factual conclusion was that asking about citizenship on the census will reduce the quality of the census results by discouraging Hispanics and noncitizens from participating. The judge’s most striking factual conclusion was that Ross ignored his own Census Bureau and decided to include the citizenship question before he had a legal reason to do so. Then, Trump appointees in the Justice Department drafted a letter after the fact purporting to provide a legal rationale. A basic principle of administrative law is that the government must give its actual reasons for any action it takes. Furman held that Ross didn’t give his real reason, only a pretext. Furman didn’t say what Ross’s real reason was, just that the reason given was a lie. That’s more than enough to block Ross’s decision. Furman’s legal conclusions are also intentionally repetitious, to make them stronger. After finding that the plaintiffs had standing to sue, he determined that Ross had engaged in multiple violations of the Administrative Procedure Act, including violating the statute that requires the census to rely on sampling techniques rather than direct questions to the “maximum extent possible” when it comes to issues like citizenship. On appeal, it is difficult to imagine the 2nd Circuit overturning the decision. It’s too detailed and too well-defended. And the time to the census is getting shorter every day. I also doubt that the 2nd Circuit would freeze Furman’s order barring the bureau from asking the citizenship question before hearing the case. They respect Furman too much, and it would be embarrassing for them to freeze a district court decision of this meticulous detail without any of their own reasoning. The only way I can see that Furman’s opinion wouldn’t prevail is if the Supreme Court were to freeze his order. It’s rare for the justices to take a step like that before the appeals court has weighed in on the merits, but it’s not impossible. And the court did already block Furman from allowing Ross to be subject to deposition. Here’s where the opinion’s heft — literal and metaphorical — matters most. It would take five votes to freeze the decision’s effect. For Chief Justice John Roberts to undercut a district judge in this way, the opinion would have to seem obviously weak. Furman’s opinion is so effective that Roberts would look nakedly political if he voted to intervene. Given Roberts’s recent defense of the judiciary against Trump, he’s unlikely to take Trump’s side in ignoring such substantial work by a widely respected, centrist district judge. The lesson for judicial opinions is clear. Sometimes, length matters.